Kelly Snyder is a licensed massage therapist and bodyworker trained in Neuromuscular Therapy, Swedish Massage, and Prenatal Massage. She is also a skilled equine structural integrator. 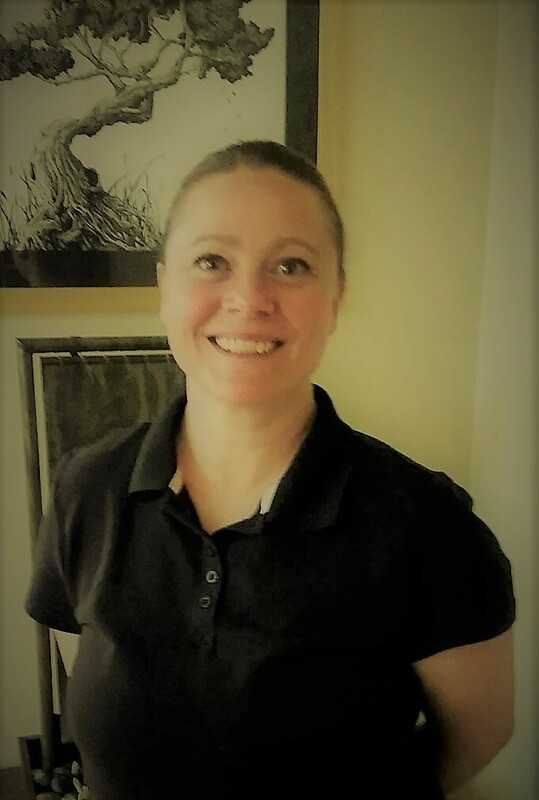 Kelly’s passion is for structural bodywork with the goal of freeing up the connective tissue to allow the body to become more balanced. This helps to relieve pain while increasing her clients’ ability to function more efficiently. Her work with horses gives Kelly an intuitive edge that helps her in locating problem areas within the body that can often be missed. In addition, Kelly is also well skilled at using hands-on energy techniques to relieve areas of pain and tension. 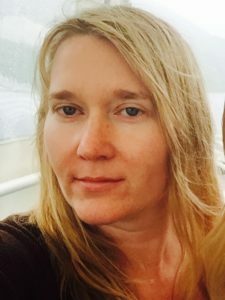 In nine years of consistent practice, Karen has developed a unique energetic sensitivity which she combines with proven massage techniques including deep tissue, trigger point work and positional release to assist her clients in achieving a thorough and results-driven massage session. She is also certified in Basic Lymphatic Drainage, Reiki I and II, and Oncology massage and has years of clinical experience working with those experiencing chronic pain and illness, accident victims and others in fragile states of health. Karen feels a deep sense of empathy with physical suffering based on her own past experience with chronic pain and is confident in her ability to help a wide range of clients restore well-being to their lives through bodywork. Frankie graduated from the Center for Massage and Natural Health in Asheville, NC in 2011, and has been practicing ever since. She has mostly studied Esalen Massage, learning both here in Asheville, and at the Esalen Institute in Big Sur, California. Coming from a background of working in mental health, Frankie has a desire to help people be healthy and whole. She believes massage therapy is a way to achieve this on many levels. Her work ranges from light and relaxing massage to specific, therapeutic massage meant to manage pain and relieve old injuries. Frankie thoroughly enjoys helping people be in their bodies in helpful, enjoyable ways. 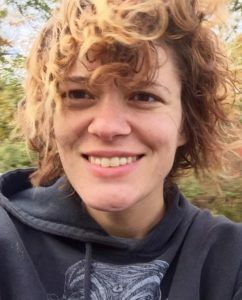 Kaitlyn graduated from Asheville School of Massage and Yoga in 2013, and has been practicing therapeutic massage consistently for the last five years. She has a knack for working intuitively, as well as with careful attention to her client’s specific needs. Her style incorporates knowledge of neuromuscular trigger point therapy, myofascial pain relief techniques, as well as slow fluid strokes aimed at inducing a state of bliss and relaxation. Clients have reported that she has a safe and nurturing energy that helps them to “let go” during their session and release physical and energetic blockages. Her particular strength is with addressing stubborn tension in the upper back, neck, and shoulders. She is looking forward to meeting new clients at Ebb &Flow. Adam has had a life-long fascination with human anatomy & physiology. Starting as an artist focused on the human form, he turned his interest into a brief career as an EMT. After a number of years of ambulance driving, a weekend workshop in massage came along and the fire was lit! He has since gone through two separate courses for massage therapy that further expanded his understanding of the human body. He specializes in Neuromuscular Therapy and employs other stretching & Myofascial techniques to increase mobility, and decrease pain and dysfunction in the body. His continued passion for studying anatomy & physiology and his dedication to his clients helps him individualize treatment for each person and achieve consistently positive outcomes in his practice. Lauren’s interest in massage therapy began when she was 9 years old, massaging her ballerina neighbor’s sore feet in trade for hair crimping. She found she had a knack for it and started massaging family members and friends. Lauren decided to embark on massage school at age 19. After massage school, she traveled to many places before settling into the world of caregiving for a decade. She found herself wanting to reignite her love of bodywork, and so finally decided to get licensed to practice massage. 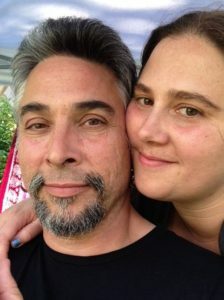 Once her & her partner Adam were able to, they opened Ebb & Flow and have been practicing massage full time ever since. While proficient in deep tissue massage, Lauren prefers practicing more heart-centered Swedish massage, which assists clients in reaching a deep state of relaxation. She also has studied Esalen massage,Soft Tissue Release, and Reflexology, and is experienced in using hot stones and aromatherapy. 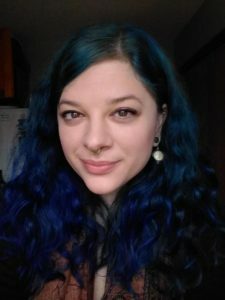 Lauren is an intuitive and sensitive practitioner who seeks to tune in to the subtle cues of the body during healing sessions.